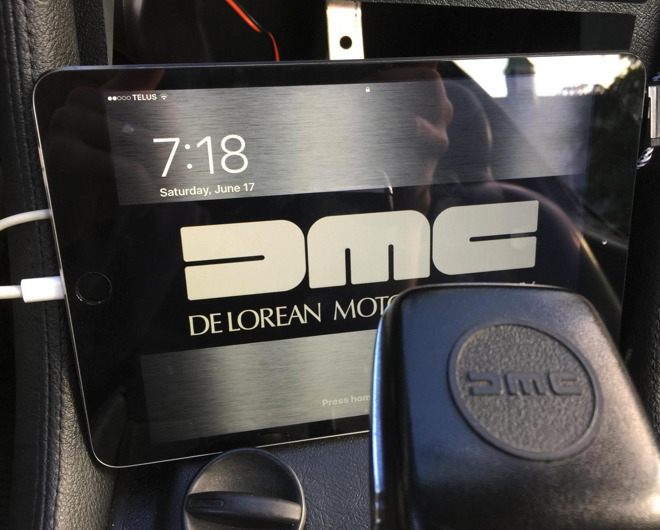 Utilizing several third-party solutions, a "Back to the Future" film fanatic has built a custom DeLorean door and trunk controller in a dash-mounted iPad that can also provide speed information, as well as nearly all of the features that an Apple CarPlay solution would. Imgur user TheKingOfDub posted the gallery early Tuesday morning of the project with a corresponding thread on Reddit. The project appears near complete. The entire setup is built around a Mac mini of unspecified model, and a custom app developed by the designer in Xcode utilizing the Xcode Interface Builder for prototyping. 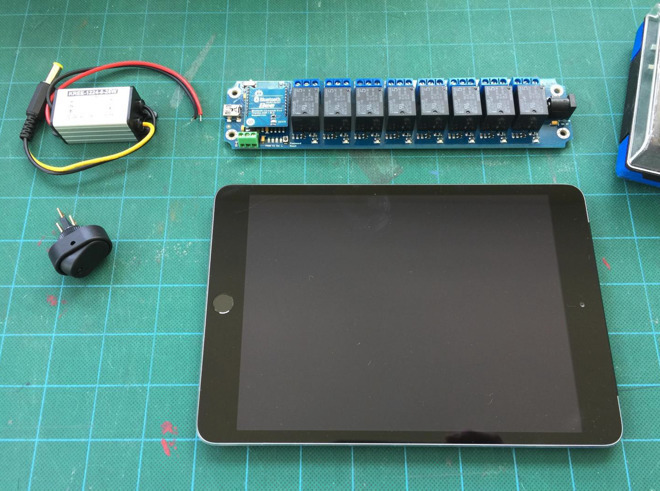 The iPad mini is mounted magnetically and takes the place of the car's air conditioning vents, and connects to a Bluetooth relay strip for temperature monitoring, plus door control in conjunction with a third-party accessory. The door and trunk buttons are disabled when the car exceeds 10 miles per hour. 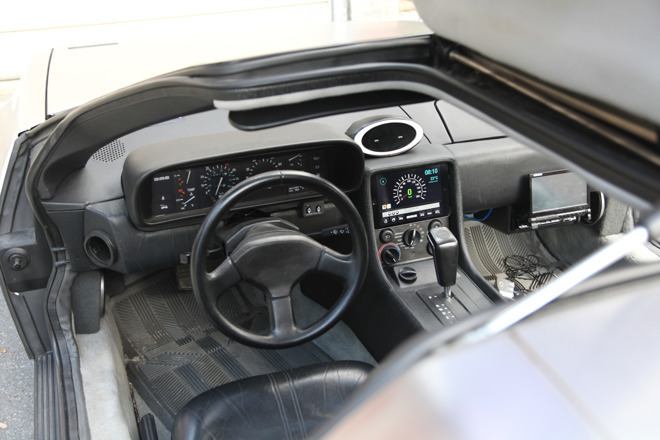 The user claims that the speedometer is on the iPad because the DeLorean implementation is "virtually impossible to see" with poor legibility. The iPad also connects to a Wi-Fi backup camera, and utilizes Google's voice recognition for calling up navigational assistance. Internet searches are handled by the Google app's voice recognition. Media control is handled by Siri, with gestures on the screen used for volume up and down, and previous and last track. The previous deck has been moved to the passenger's side of the front seat, allowing control of existing radio and CD functionality. The passenger can also watch video streamed from the iPad on the screen. 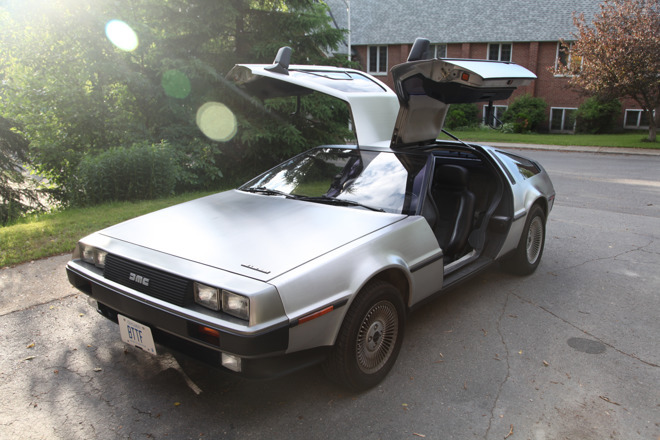 Future plans include an iPhone version of the remote app, and added proximity detection for auto-unlocking and opening the doors when the user is close enough to connect to the car's Bluetooth.